One of the great benefits of creating this podcast is that I get to speak to so many experienced owners on so many different topics. I also get to hear about their fabulous locations and properties. My guest in this episode may be in one of the most coveted spots in the world with a vacation home in Fiji. Writer, publisher, realty investor and former travel agent, Beth Carson, shares her story of how she designed and built Starfish Blue on Fiji’s Suncoast, and expands on her unique philosophy of hospitality that has helped create a hugely successful buisness on the other side of the world. 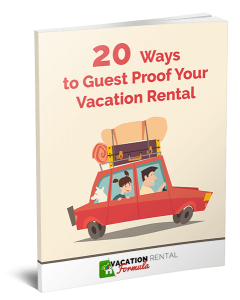 She makes some great points about the importance of being a host from the beginning to end of the rental process and shares insights on managing a vacation rental from a distance. Editor of #VacationRental Travels Magazine @BethVRTMag talks with @cottageguru about her VR in Fiji and much more. 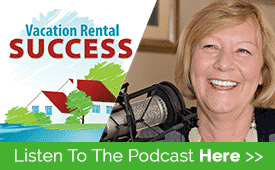 A regular speaker on vacation rentals at the International Living conferences, Beth talks about the what prospective new owners should consider before buying in a far-flung location, or even closer to home. We also discuss Beth’s newest project, the online magazine, Vacation Rental Travels . The second edition has just been published and I highly recommend subscribing – it’s free! How to subscribe to the free Vacation Rental Travels magazine and enter a draw for a free stay at Beth’s Fiji home! Love Beth’s ‘Secret Sauce’ and her attitude about customer service…really helping to develop a relationship with prospective tenants from the beginning. Great show! Kathleen, Thank you so much! It works in any field. It’s a mindset of truly caring about other people’s experiences. Hi Praise- coming from you, Antonio! Many thanks! The list of countries is on their website- they come out with the best retirement havens every year- ranked on weather, health care, cost of living, infrastructure, etc. I’m hoping to take a gap year soon, but since we have 2 dogs, it’s had to be more of a gap winter. Thanks for a fantastic interview! I hope you have Beth on again as she is a wealth of knowledge and I got some new ideas for my VR! Beth, Vacation Rental Travels is coming to my ‘neck of the woods’!!! That’s a no-brainer. Who wouldn’t take advantage of that?? Thanks for the nuggets! Thanks, Amy! Glad to have you as a reader. I see you’re in CA. We’re hoping to do some VR articles there. Spread the word! Your place would look great in VRT – the images show so well on your website. Thanks Kathleen – when something works this well, it makes it worthwhile getting that connection early. I cannot believe I missed this one! Very interesting podcast, I listened to every minute. Thanks Heather and Beth.